Adobe and Teardrops: HEY! LISTEN: Dar Stellabotta -- "Oh Well"
HEY! 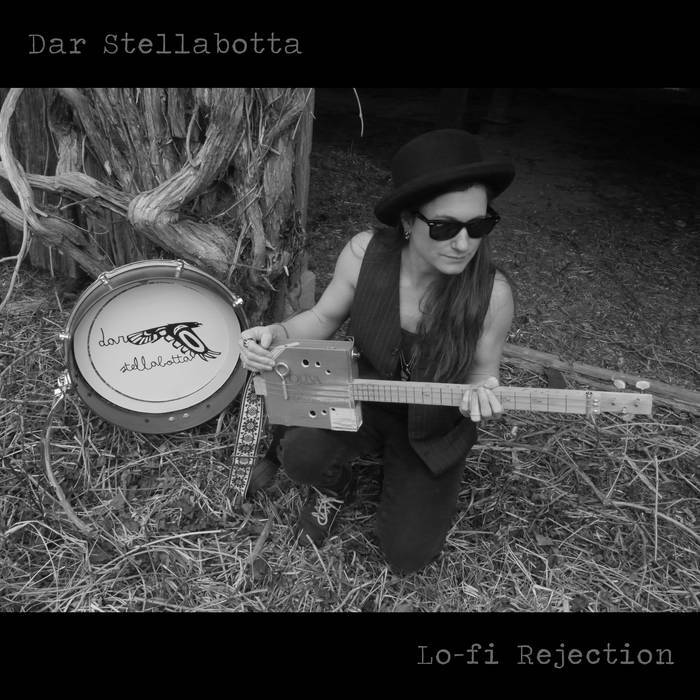 LISTEN: Dar Stellabotta -- "Oh Well"
Dar Stellabotta's carved out an interesting niche for herself, fashioning modern-day blues on homemade cigar-box guitars. I featured her music last fall and am more than happy to remind you to take a gander at her album Lo-Fi Rejection. Stellabotta uses her instrument to great effect, making a wall of distorted sound for her winsome singing and an anguished, buzzy solo to complement her despondent lyrics. Stellabotta's got a ton of attitude to work with and I look forward to the day when a full backing band can support her while she lets it absolutely rip. Im afraid of whats in store.